I spent the night of my 30th birthday with 10,000 hippos. They were a blast! As today is another of my birthdays I am remembering that one with fondness. 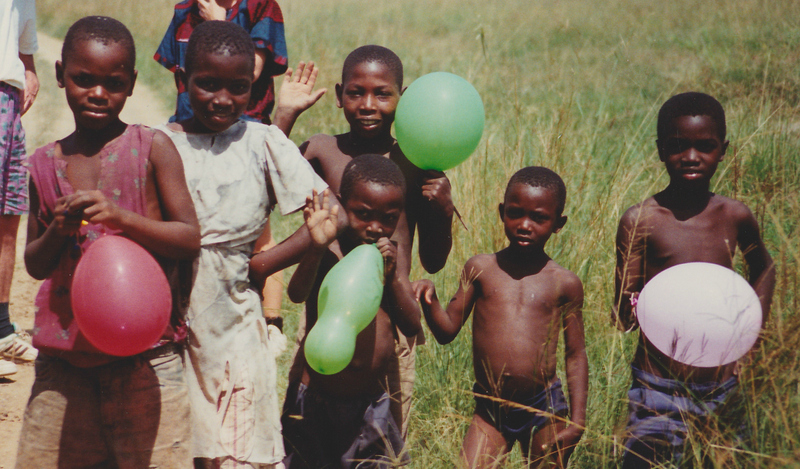 I was travelling from Kampala to Kivu to see the mountain gorillas. 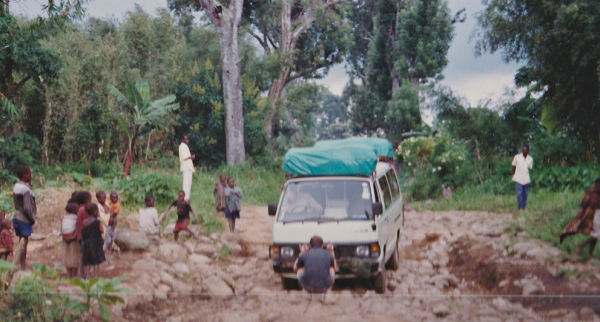 Luckily I had picked a moment between fighting in Eastern DRC (then Zaire) and Rwanda to make the journey. There were about 8 of us in clapped out minivan. Our tour guides, Tom and Lucia, would have seemed more at home in the TV show Made in Chelsea but here they were, claiming to know what they were doing and we had just pitched camp on the shores of Lake Victoria, still in Uganda. For a change, we had arrived ahead of schedule that day The van hadn’t broken down and we had made good progress, even stopping en route at a market to pick up supplies for the evening meal. When we gathered to eat, Tom noticed that my companion was sporting a new haircut. ‘How did that happen?’ he wanted to know and I explained that due to the shortage of Western barbers in the African town where my friend was living for a few years, whenever we met I brought my scissors. After a convivial evening, Tom decided it would be good for him to have a haircut too. He faced the same grooming problem after all so why not. I tried to delay this till the following day but our schedule was already full. It was now or never. Reluctantly, after several glasses of wine, I made a start. One of the other travellers held up a candle. I should mention here that all the hair I had ever cut had been of the thick straight strong variety. I had no experience of hair like Tom’s where the bulk came from curls not volume. I overcut. Even through the haze of alcohol and the dim candlelight I could tell there was a problem. Nothing else for it but to cut the other side to match. At least there were no mirrors to be had. I’d just have to hope people were kind in the morning when confronted with what had turned out to be a very 80s style haircut. I hardly slept that night. Our tent was right in the middle of the hippo area. We were under strict instructions not to get out – unless we wanted to be trampled to death. So instead much of the night was spent prising a gap between the side of the tent and the groundsheet to peer out in the moonlight at the hulks of hippo heading in and out of the lake. They seem a lot bigger when you’re lying on the ground looking up at their hindquarters than they do in the zoo. It was the perfect birthday gift. Next morning we gathered for a birthday breakfast and I remembered the haircut. Tom emerged from the tent and Lucia gasped. Everyone fell silent for what seemed like a long moment. “You look so cute!” she exclaimed. A collective sigh of relief went up from the group. I didn’t deserve to get away with that but I did. Maybe sleeping with 10,000 hippos changes one’s perspective a little. And as we headed towards the rainforests, Tom was glad of the cool breeze around his ears.